**New changes to projects on iNaturalist. Click here to learn about new functionality with aggregating observations and creating umbrella projects. Welcome! If you're just getting started with iNaturalist Canada, check out Getting Started to tour some of the site's features. If you have a question about the site, please peruse the FAQ below. If you're still looking for answers, please email us at help@inaturalist.org or post your question to our Community Forum. Who is behind iNaturalist Canada? What technologies and data sources does the project use? What can I do to help iNaturalist? How do I contact iNaturalist? What are admins and curators? Spam! What do I do about it? Why doesn't iNaturalist recognize the name I've entered? How can I get help identifying what I saw? What does it mean to link iNaturalist to my Flickr account? Can I add photos without a Flickr account? What are tags, observation fields, and annotations? Can I include my iNat observations on my own website or blog? What kind of photos should I attach to observations? Can I attach photos I didn't take? Can I add multiple species per observation? What if my photo has a flower AND a cool bug? I am a researcher working for a governmental agency. How can I access the true coordinates of sensitive species? What does it mean for an observation to be obscured? What is the quality assessment and how do observations qualify to become "research" grade? Why is my observation not showing up in a Place or Collection project? I know I observed it there. How do I add sounds? What does captive / cultivated mean? I identified my observation after someone else added a higher-level ID, so why is the observation stuck with the higher level ID? Why do people keep adding "obvious" IDs like "Plants"? Can I use the photos that are posted on iNaturalist? Can I upload videos to iNaturalist? I don’t agree with iNaturalist’s taxonomy. Do I have to follow it when I add an ID? I observed a species, why isn't it showing up in my life list? How do I restrict project contributions to a geographic area? How do I restrict project contributions to a geographic area that isn't already in the database? Why can't I add my observation to this project? How do I add a missing species to the iNaturalist database? Can I add common names? iNaturalist Canada is a place where you can record and share what you see in nature, meet other nature watchers, and learn about Canada’s wildlife. It encourages the participation of a wide variety of nature enthusiasts and everyday people. Through connecting different perceptions and expertise of the natural world, iNaturalist Canada hopes to create extensive community awareness of local biodiversity and promote further exploration of local environments. Every piece of information on a species, combined with the vast network of citizen scientists, can give a big picture of Canada’s natural history and be key contributions for conservation decisions. iNaturalist Canada is part of a larger iNaturalist Network which is an international network that allows the transfer of species data and shared technology. iNaturalist Canada is a collaboration between the Canadian Wildlife Federation and the Royal Ontario Museum, with tremendous support from Parks Canada, NatureServe Canada and Hinterland Who’s Who. iNaturalist was originally the Master's degree Final Project by Nathan Agrin, Jessica Kline, and Ken-ichi Ueda at UC Berkeley's School of Information. 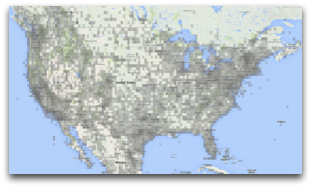 iNaturalist is built using Ruby on Rails, MySQL, jQuery and Google Maps, and Flickr. It also utilizes the Catalogue of Life, Hinterland Who's Who, NatureServe Canada and uBio data sources for taxonomic data. You can help iNaturalist by giving us your feedback; join our Google group to sign up for usability studies, report bugs, and request new features. You can also help iNaturalist by adding your observations and helping other community members identify their unidentified observations. If you know how to code and want to help work on some features, fork us on GitHub! iNat admins are the people who run the site. They have direct access to the underlying code and the database, and they can change anything on the site. Curators are iNat users who volunteer to help keep our taxonomic data up to date. If you're interested in becoming a curator, please contact us. Curators can also promote other users to curator status. Please only promote people you trust and that you know to have some taxonomic knowledge. You know it when you see it, right? Stuff that violates Section 2 of our Terms of Service is definitely inappropriate and worth flagging or otherwise notifying the admins about. Milder forms of rudeness are unfortunate, but probably not something we'll delete. Observations of pets, captive animals, humans, and other organisms most naturalists may not find interesting are ok (they're alive, after all). Observations of things that aren't organisms are a gray area. Things that clearly have nothing to do with nature, like what someone had for lunch, are worth flagging and may be deleted, but evidence of pollution or disturbance could be interesting, and probably won't be removed. Copyright violations should be flagged, i.e. re-published text or images that were created by other people without any evidence of permission or license by the creator of the work. Like other things beginning with the letter "s," spam happens. If you see something spammy, please flag it as spam. We also have an automated spam filter that flags content as spam. All content flagged as spam will be hidden from public view, and when a user makes three records on the site that get flagged as spam, they will be automatically suspended. When a user makes three observations that become research-grade, they will be whitelisted and nothing they create will be checked for spam. Curators can also manually mark people as spammers and non-spammers from the user profile pages. If you have any hesitation, please contact a site curator or site admin, or help@inaturalist.org. If your content gets incorrectly flagged as spam or you are suspended for being a spammer, please contact us. On iNaturalist, other users are encouraged to add identifications to each other’s observations in order to confirm or improve the Community Identification (see further discussion below on Research Grade status). If your ID of your observation differs from the community’s assessment and you prefer that your ID take priority, just reject the community ID by clicking the "Reject?" link above the community ID. You can also opt-out of community IDs entirely by editing your settings. Please do not simply “Agree” with an ID that someone else has made without confirming that you understand how to identify that taxon. An identification confirms that you can confidently identify it yourself compared to any possible lookalikes. If you agree with the ID without actually knowing the taxon, it may reach Research Grade erroneously. Leading: Taxon descends from the community taxon. This identification could be leading toward the right answer. Improving: First suggestion of this taxon that the community subsequently agreed with. This identification helped refine the community taxon. Supporting: Taxon is the same as the community taxon. This identification supports the community ID. Maverick: Taxon is not a descendant or ancestor of the community taxon. The community does not agree with this identification. iNaturalist has name information for many different kinds of organisms and continues to add new species names to our database. If we do not recognize a particular name you have entered, it's possible it is an outdated synonym or that it is simply missing from the database. If a species or other taxon is missing from the iNaturalist database, first try clicking the "Search external name providers" link that appears after you search for a name and get no results. You can also try alternative names that we might recognize (common names, old scientific names). If that doesn't work, add the original name to the description or as a comment. Then navigate to the taxon page where the name should appear, such as the genus of the missing species, and click "Curation," then "Flag for curation" on the right side of the page. Leave a short message explaining what needs to be done as well as some information establishing the legitimacy of the name, like links to websites or books that use it. Just make observations of wild organisms that have photos, locations, and dates. Every observation with those things gets automatically placed in the "Needs ID" category so people who are looking for observations to identify will find them. Observations without those three things are not eligible for "Research Grade" status and thus get placed in the "Casual" category, since identifiers probably won't be able to help if there's no photo or location. So, the key to getting things identified is to record identifiable observations! Check out this video for tips on taking identifiable photos. iNaturalist can link directly to the Flickr photo service so that you can add your Flickr photos to your observations. When you agree to link your Flickr account, you are simply linking two accounts; we do not have access to your Flickr password and you are not forsaking your copyright nor giving us the ability to use any of your photos in ways that you do not want. We support uploading photos directly to iNat, just use our Add Observations page. On that page you can combine multiple photos of the same organism and edit multiple photos at once. iNaturalist can also read metadata such as date, time, location, and keywords. Here's a short tutorial video for it. For photos of distant organisms, it is recommended that you tightly crop the photo before uploading. It will speed uploading, and also make it easier for other users to retrieve the photo for identification purposes. It is particularly slow to retrieve a large original photo when the main subject is small. Tags are keywords you can add to an observation to make them easier to find. For example, if a barracuda followed you on a scuba diving trip in Turks and Caicos, you might tag the observation "scary, barracuda, scuba diving, vacation, turks and caicos". Annotations and observation fields are other ways to mark observations that work differently. You can read more in this article on Annotations. Sure, check out our Observations Widget. Photos attached to observations should be of the individual observed at the time of the observation, taken by the person who made the observation. If you record an observation of a tree, then go back a day later to take a picture, please add a new observation for the picture, because it represents the tree at a different point in time. Observation photos must depict the actual individual organism the observation describes, so please don't upload photos of the same species but of a different individual. Your observation photos represent evidence of your own experience, not just illustrations of something like what you saw. Please do not upload photos taken by other people, since they don't represent your own experiences and probably represent a violation of copyright law. Instead, please encourage them to post their photos to their own iNaturalist account. Can I add multiple taxa per observation? What if my photo has a flower AND a cool bug? No—iNat observations record one taxon at one place and time. If you want to record an additional species in the same photo, just add a new observation with the same photo. To protect sensitive species and our users’ privacy, the iNaturalist platform will not grant any organization or user access to private coordinates unless the observer has agreed to share them with you. The best way to do this is to create a Traditional project and reach out to the observers, asking them to join your project and add the observation(s) in question to the project. More information on Traditional projects can be found on our Managing Projects page. If you have permission to view true coordinates of an observation in your project, you should be be able to see those when you go to the observation and when you download a CSV file of observations in your project. For the latter, look under the “private_latitude” and “private_longitude” columns. Everyone can see the coordinates unless the taxon is threatened. Appears as a teardrop-shaped marker. Public coordinates are shown as a random point within a 0.2 by 0.2 degree area that contains the true coordinates, which works out to about a 22 by 22 km square area of uncertainty at the equator, decreasing as you approach the poles. The randomized public coordinates appear as a circular marker without a stem. True coordinates are only visible to you and the curators of projects to which you have given permission to view true coordinates. Coordinates completely hidden from public maps, true coordinates only visible to you and the curators of projects to which you have given permission to view true coordinates. Again, note that project curators/admin may be able to see your private or obscured coordinates depending on your project settings, so if you are concerned about who has access to the coordinates you should be sure you trust the curators of the projects you join. Learn more about geoprivacy on iNaturalist here. When coordinates are obscured it means that a random point within a 0.2 degree x 0.2 degree area containing the true coordinates is shown publicly (i.e. on the home page, the observations page, and project pages), while the true coordinates are only visible when you are viewing your own observations (i.e. on the individual project pages and the list of your own observations). Note that curators of the projects to which you've added an observation can also see the true coordinates. Obscured coordinates should always be symbolized by circular marker without stems on maps and in geospatial feeds (see figure above). Coordinates are automatically obscured for all taxa that are "NEAR THREATENED" or worse according to the IUCN Red List, with some exceptions. Some taxa may be declared threatened according to other conservation authorities, and some may be simply marked as threatened by iNat site curators if they believe it merits protection. You can also obscure the coordinates of your own observations regardless of what the taxon is. See geoprivacy above. What is the quality assessment and how do observations qualify to become "Research Grade"? the community agrees the observation doesn't present evidence of an organism, e.g. images of landscapes, water features, rocks, etc. The system will vote that the observation is not wild/naturalized if there are at least 10 other observations of a genus or lower in the smallest county-, state-, or country-equivalent place that contains this observation and 80% or more of those observations have been marked as not wild/naturalized. 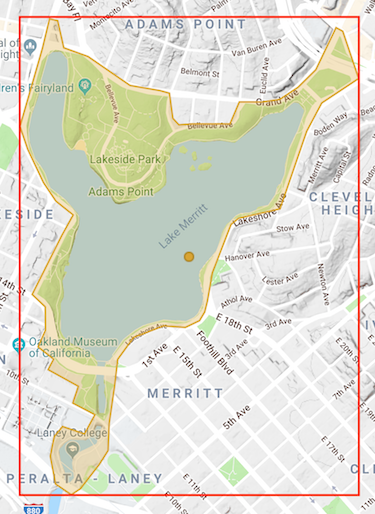 iNaturalist will not index an observation as being in Lake Merritt if either the observation's accuracy circle or obscuration rectangle break that bounding box. We do this to prevent observations from being added to a place when there's a chance they were not found there and, more importantly, to prevent users from narrowing down the location of an obscured observation. This means that if you have a Collection project for a small place, obscured observations as well as observations made near the edge of the boundary may not be displayed in your project and you may want to consider using a Traditional project or making your Place boundary slightly larger. Note that this does not apply to counties, states, and countries and their equivalents, which are “standard places” in iNaturalist (as opposed to “community curated places” that anyone can add). You can add sounds by dragging wav, mp3, or m4a format sound files into the uploader on iNaturalist. You can also import sounds using the import tool, similar to the uploader. Sound files may added to existing observations as well, via this method. The Android and iOS apps do not currently support sound uploads. We represent observations on maps in two broad ways, to show large quantities of observations on the map at the same time or at coarse zoom levels, we use circles. When showing fine zoom levels, we use "markers," which look like teardrops for observations with public coordinates but display as circles if the observation location is obscured from the public (see geoprivacy sections above). All observations not flagged as captive or as having location issues are mapped. At very fine zoom levels, the grid cells are replaced by individual, clickable points. The colors of the points indicate the branch of the tree of life that the observation represents. A small white point in the center of the marker indicates that observation is Research Grade. Checking captive / cultivated means that the observation is of an organism that exists in the time and place it was observed because humans intended it to be then and there. Likewise, wild / naturalized organisms exist in particular times and places because they intended to do so. The main reason we try to flag things like this is because iNat is primarily about observing wild organisms, not animals in zoos, garden plants, specimens in drawers, etc., and our scientific data partners are often not interested in (or downright alarmed by) observations of captive or cultivated organisms. I identified my observation after someone else added a higher-level ID, so why is the observation stuck with the higher-level ID? That's the way the community ID system works: iNat chooses the taxon with > 2/3 agreement, and if that's impossible, it walks up the taxonomic tree and chooses a taxon everyone agrees with, so if I say it's Canis and you say it's Canis familiaris, 2/2 identifications agree it's in Canis but only 1/2 think it's Canis familiaris so iNat goes with Canis. If you don't like this and want your ID to take priority for your observation, just reject the community ID by clicking the "Reject" link under the community ID. You can also opt-out of community IDs entirely by editing your settings. You don't need to ask people to remove their higher-level ID, especially if it's accurate (but not precise). This doesn't affect an observation's potential to reach Research Grade status, it just gives the observer control over what taxon the observation is associated with. This usually happens when you did not add an ID yourself, so your observation is sitting in uncategorized limbo. By adding a coarse ID of "Plants" or "Fungi" these identifiers are making it easier for other people to find your observation. Many experts use our taxonomic filters to focus on their taxon of expertise, so if you post an observation of a plant with no identification, these experts will never find it. People adding coarse IDs are almost always trying to help you get more specific IDs. iNaturalist does not own the photos that our users post here, they belong to the people who upload them. By default, all photos uploaded to iNaturalist are released under a Creative Commons Attribution-Non-Commercial license. However, some people have chosen to revoke the Creative Commons license to retain complete legal control over copies of their photos, while others have chosen different versions of the Creative Commons license (or have chosen to waive their copyright entirely in the form of the CC0 declaration). It’s important to understand these options when deciding whether or not you can use their photo. On an observation page, you’ll see two symbols over the bottom of each photo. The symbol on the left will either be CC or C, denoting that a photo has been released under a Creative Commons license or if full copyright has been retained, respectively. If a photo has a Creative Commons license (CC), it means that you are free to use it under certain conditions. For example, if it is licensed as CC BY-NC, you can use the photo for non-commercial purposes as long you properly attribute the photographer. Clicking on the CC symbol will show the specific CC license and link to an explanation of the license. If the photo is not licensed (C), you will have to obtain explicit permission from the user who posted the photo. If you have an iNaturalist account, you can message them by going to their profile page and clicking the “Message” button. Computer vision is the process of teaching computers to recognize patterns in images. We use computer vision systems trained on iNaturalist photos and observations to provide automated species identification suggestions. Read more about computer vision on iNaturalist. Currently, iNaturalist only supports the uploading of still images and sounds. As a workaround you can use a screen grab from your video for the observation's still image, then upload the video to a video hosting site such as Flickr, YouTube, Vimeo, or Google Photos and link to the video in the observation's description. It ensures we are all talking about the same things. While you may not personally agree with our current definition of Exampelia generica, everyone on iNaturalist will at least understand what is meant by an ID of Exampelia generica. When taxonomy is updated, those updates will be correctly reflected in the ID. It prevents messy taxonomic arguments on observation pages, where they don’t belong. So if you don’t want to follow iNaturalist’s taxonomy for a taxon, please refrain from adding an ID for said taxon - you can add a polite comment instead. If you have an issue with any taxon on iNaturalist, you can go to the taxon’s page, click on Curate (under the graph) and select “Flag for curation”. There you can write a note (citing evidence), and the site curators can discuss your proposal. iNaturalist’s taxonomy is a communally-curated synthesis, and thus no one agrees with all of it. If you can’t accept a taxonomy that you don’t completely agree with, iNaturalist is probably not the place for you, and you should instead consider other data recording platforms. Lists are simply lists of taxa (not observations). For example, you could make a list called "My Favorite Turtles" and add all your favorite turtles. There are a number of different kinds of lists, and they behave in different ways. Just a simple list of taxa with no special behavior. Automatically updates based on your observations. Everyone on iNat has a default life list that contains every species that person has observed. If you delete an observation or change your ID, the species will get removed. You can also manually add taxa to your life list just like you can with an ordinary list. The species you add manually won't get removed if you observe them and then delete the observation. You can also make additional life lists for specific groups of organisms, like a life list of birds, or a life list of milkweeds. A project list belongs to a project and lists all the taxa observed by members of that project. Project lists can also be populated manually by the admin of that project, and can be used to restrict project contributions to taxa that are on the list. A check list is a list of taxa that occur in a place. Every place has a default check list, and whenever an observation is made within the place's boundaries and it has achieved research-grade status, the species observed will get automatically added to the place's check list. iNat users can also add additional check lists to places, but these check lists are not automatically updated. They mainly provide a way for people to bring in outside sources of data or just list things based on their own experience. While the life list is automatically populated from added observations, the species will not be added to this list if iNaturalist does not recognize the name you used. We recommend trying alternative names that we might recognize. As observations move from one taxa to another (via changing identifications etc.) listed taxa aren’t always properly created and destroyed. This can cause your list to quickly get out of sync with the list of taxa represented by your observations displayed elsewhere on the site such as Explore. Likewise, choosing to manually create or remove listed taxa from your Life List or change the ‘Rank restrictions’ setting from the default ‘allow any’ will cause your Life List to get out of sync with your observations. Read more about how iNaturalist counts species and other taxa and how to resync your life list. Note that as of 2018, we aren't actively developing Lists and we are considering replacing the functionality they offer with more scalable approaches. Projects collect observations under a common purpose. Any iNaturalist user can create a project, but it is not necessary to create or contribute to a project to enjoy using iNaturalist. Before you decide to create a project, we recommend you spend several weeks or months using iNaturalist and becoming an active member of the community by regularly adding IDs, comments, and observations. You should be familiar with iNaturalist before creating a project. If you're interested in collecting observations to help answer a particular research question, or if you want a way to use data collection as a form of outreach, projects are the way to go. You can read much more about projects here. When you're editing your project you'll see a section called "Observation Requirements." Enter the place that you want the observations to be restricted to under the "Place" section. Only places with boundaries in our database are available. You can make your own place! Click "Places" under the "More" tab in the site header, and click "Add a new place" in the lower right. Choose the "Manually create a new place" tab and draw a boundary around the place you'd like to create by clicking on the map. Give your place a name, save it, and you should be able to choose it when editing your project. If you're unable to add an observation to a project, it is likely a "collection" type project, which is essentially just a filtered search on all observations. Observations are never “in” a collection project; they either meet the project’s requirements and are automatically displayed when the project page is loaded, or they don’t. You cannot add or delete individual observations from a collection project. However, note that you can always edit the project to tweak its settings. Because a collection project is a just saved observations search, there is no way for you to exclude specific observations from appearing on a collection project’s page. Please see the Managing Projects page for more information. You can add common names by going to the Taxonomy tab on a taxon page and clicking "Add a Name", but please abide by the guidelines listed there as well as those listed in the Curator's Guide. Guides allow users to create species lists that can be shared with others. Please note that as of January, 2019, the Guides feature is presented "as is"; while we don’t have any plans to delete it, we don’t plan to develop it any further. **Nouvelles changements aux projets sur iNaturalist. Cliquez ici pour en savoir plus sur les nouvelles fonctions concernant l'agrégation des observations et la création de projets cadre. Bienvenue! Si vous êtes un nouvel utilisateur du site iNaturalist Canada, consultez le guide Commencer pour découvrir certaines des fonctions du site. Si vous avez des questions au sujet du site, consultez la FAQ ci-dessous. Qui est à l’origine d’iNaturalist Canada? Quelles technologies et sources de données sont utilisées dans le cadre du projet? Comment puis-je communiquer avec iNaturalist? Qu’est-ce qu’un administrateur et un responsable de l’organisation? Qu’est-ce qui est considéré comme du contenu inapproprié? Et que doit-on faire du pourriel? Pourquoi iNaturalist ne reconnaît pas le nom que j’ai entré? Comment puis-je obtenir de l’aide pour identifier ce que j’ai vu? Que signifie « lier son compte iNaturalist à son compte Flickr »? Puis-je ajouter une photo sans compte Flickr? Puis-je inclure mes observations iNat sur mon propre site Web ou dans mon blogue? Quelles sortes de photos puis-je joindre aux observations? Puis-je joindre des photos que je n’ai pas prises? Puis-je ajouter des taxons multiples par observation? Qu’est-ce qui arrive si la photo comprend des fleurs ET un insecte vraiment intéressant? Pourquoi est-ce que ma photo Flickr indique « Cette image n’est pas disponible en ce moment »? Que signifie une observation masquée? Qu’est-ce qu’une évaluation de la qualité et comment une observation se mérite-t-elle le calibre « recherche » ? Pourquoi iNat indique que mon taxon est « hors de l’aire de répartition » alors que je sais qu’il ne l’est pas? Comment puis-je ajouter du son? Que signifient les symboles sur les cartes? Comment puis-je limiter les contributions à un projet à une région géographique? Comment puis-je limiter les contributions à un projet à une région géographique qui ne fait pas partie de la base de données? iNaturalist Canada est un endroit où vous pouvez enregistrer et partager ce que vous avez vu dans la nature, rencontrer d’autres amoureux de la nature et en apprendre davantage sur la faune du Canada. Le site favorise la participation d’une vaste gamme de passionnés de la nature et de gens ordinaires. En reliant toutes ces perceptions et tous ces experts du monde naturel, iNaturalist Canada espère sensibiliser les collectivités à la biodiversité locale et promouvoir une exploration accrue des environnements locaux. Tous les éléments d’information sur une espèce, combinés au vaste réseau de citoyens scientifiques, peuvent nous fournir une vue d’ensemble du patrimoine naturel du Canada et peuvent constituer un facteur clé dans la prise de décisions à l’égard de la conservation. iNaturalist Canada s’insère dans le réseau plus vaste d’iNaturalist, qui est un réseau international permettant le transfert de données sur les espèces et de technologies partagées. iNaturalist Canada est un travail de collaboration entre la Fédération canadienne de la faune et le Musée royal de l’Ontario, avec un soutien important de Parcs Canada, de NatureServe Canada et de Faune et flore du pays. iNaturalist Canada est optimisé par iNaturalist.org, qui était à ses débuts le projet final de maîtrise de Nathan Agrin, Jessica Kline et Ken-ichi Ueda à l’École de l’information de l’Université Berkeley. Le site fait maintenant partie de la California Academy of Sciences. Scott Loarie, Ken-ichi Udea, Alex Shepard et Patrick Leary entretiennent le site à temps plein. 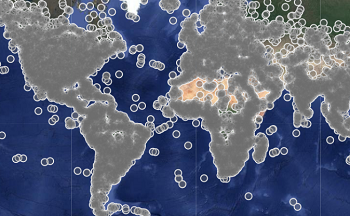 iNaturalist utilise Ruby on Rails, MySQL, jQuery ,Google Maps et Flickr. Aux fins taxonomiques et d’information sur les espèces, le site se sert des sources de données de Faune et flore du pays, du Catalogue of Life, de NatureServe Canada et d’uBio. Vous pouvez aider iNaturalist en nous fournissant vos commentaires; joignez-vous à notre groupe Google pour recevoir des études de convivialité, signaler des bogues et demander de nouvelles fonctions. Vous pouvez également aider iNaturalist en ajoutant vos observations et en aidant d’autres membres de la communauté à identifier leurs observations non identifiées. Si vous savez coder et que voulez nous aider avec les fonctions, allez chercher la fourche sur GitHub! Les administrateurs d’iNat sont les personnes qui gèrent le site. Ils ont un accès direct au code sous-jacent et à la base de données et peuvent changer n’importe quoi sur le site. Les responsables de l’organisation d’iNat sont des utilisateurs qui mettent à jour bénévolement nos données taxonomiques. Si vous souhaitez devenir responsable de l’organisation du site, veuillez communiquer avec nous. Les responsables de l’organisation peuvent aussi accorder le statut de responsable de l’organisation à d’autres utilisateurs. Veuillez accorder ce statut qu’à des gens à qui vous faites confiance et qui ont certaines connaissances taxonomiques. Tout ce qui ne respecte pas la section 2 de nos Conditions d’utilisation (disponible en anglais seulement) est tout à fait inapproprié et mérite un drapeau ou d’être signalé aux administrateurs. Les commentaires impolis sont malheureux, mais nous ne les supprimerons probablement pas. Les observations d’animaux domestiques, d’animaux en captivité, d’humains et d’autres organismes que la plupart des naturalistes trouveraient sans intérêt sont correctes (ce sont des êtres vivants, après tout). Les observations de choses qui ne sont pas des organismes constituent une zone grise. Les choses qui n’ont rien à voir avec la nature, comme ce que quelqu’un a mangé pour dîner, méritent d’être signalées et pourraient être supprimées, mais une observation sur une preuve de pollution ou de perturbation pourrait être intéressante et ne sera vraisemblablement pas supprimée. Les violations des droits d’auteur doivent être signalées : il s’agit de la publication de texte et d’images créés par une autre personne sans qu’il y ait preuve de permission de publication ou d’octroi de licence de la part du créateur. Ah, le pourriel! Si vous voyez ce qui semble être du pourriel, veuillez le signaler en tant que tel. Nous avons également un filtre automatique qui nous signale tout le contenu qui pourrait constituer du pourriel. Le contenu signalé est masqué des autres utilisateurs et, si le polluposteur ajoute du contenu signalé comme pourriel à trois reprises, il sera automatiquement suspendu. Lorsqu’un utilisateur fait trois observations de calibre recherche, il figure sur une liste blanche et son contenu ne sera jamais vérifié aux fins de pourriel. Les responsables de l’organisation du site peuvent aussi indiquer manuellement qu’un utilisateur est un polluposteur à partir des pages de profil des utilisateurs. Si vous avez un doute, veuillez communiquer avec un responsable de l’organisation ou un administrateur du site ou envoyer un courriel à help@inaturalist.org. Une observation est le quoi, où et quand de ce que vous trouvez dans la nature. iNaturalist fournit un endroit pour ajouter cette information avec du texte, des photos et des étiquettes. iNaturalist favorise l’enregistrement de tout ce que vous trouvez dans la nature, que ce soit des espèces identifiées ou des descriptions narratives. (Sur iNaturalist, le même lézard peut être décrit comme « lézard du désert à cornes » et comme « mystérieux lézard de la vallée de la Mort). Cochez la case « Identification, SVP » lorsque vous ajoutez/modifiez votre observation et elle sera s’affichera dans Identification, SVP. iNaturalist peut se connecter directement au service de photos Flickr pour que vous puissiez ajouter vos photos Flickr à vos observations. Lorsque vous acceptez de lier votre compte Flickr, vous lier simplement vos deux comptes; nous n’avons pas accès à votre mot de passe Flickr et vous n’abandonnez pas vos droits d’auteur ni ne nous donnez la permission d’utiliser vos photos sans votre consentement. Nous acceptons aussi que vous téléchargiez des photos directement sur iNat, mais ça peut prendre du temps. Nous ne permettons donc qu’un seul téléchargement à la fois. L’utilisation de Flickr, Google ou de Facebook est vraisemblablement plus rapide si vous utilisez déjà ces services. Pour les photos d’espèces prises de loin, nous vous conseillons d’essayer de recadrer la photo le plus possible avant de la télécharger, ce qui accélérera le téléchargement et facilitera la récupération pour les autres utilisateurs aux fins d’identification. Le système est particulièrement lent à récupérer une grosse photo lorsque l’objet de la photo est petit. Les étiquettes sont des mots-clés que vous ajoutez à une observation pour la rendre plus facile à trouver. Par exemple, si un barracuda vous suit durant une plongée dans les îles Turques et Caïques, vous pouvez étiqueter l’observation « effrayant, barracuda, plongée sous-marine, vacances, Turques et Caïques ». Bien sûr! Consultez notre widget d’observations. .
Les photos jointes à des observations devraient être de l’organisme observé au moment de l’observation. Si vous enregistrez l’observation d’un arbre, puis retournez le lendemain le photographier, veuillez ajouter une nouvelle observation pour la photo, car elle représente l’arbre à un différent moment. Non, pas vraiment. Les observations d’iNat représentent un taxon, à un endroit, à un moment. Si vous voulez enregistrer d’autres espèces à partir de la même photo, ajoutez une nouvelle observation avec la même photo. Cliquez sur la photo iNat pour afficher la fenêtre de la photo. Dans la fenêtre, cliquez sur « Affichez les détails » dans le coin inférieur droit. click Cliquez sur « Réparez les URL brisées » dans la section « Tailles ». À titre de renseignement, les responsables de l’organisation peuvent réparer les URL de toutes les photos sur le site. Si vous n’êtes pas responsable de l’organisation du site, vous pouvez seulement réparer les URL de vos propres photos. Tout le monde peut voir les coordonnées, sauf si l’espèce est menacée. Les coordonnées publiques sont affichées comme point au hasard dans un rayon de 10 km des vraies coordonnées. Vous êtes la seule personne, ainsi que les responsables de l’organisation des projets auxquels vous ajoutez l’observation, à voir les vraies coordonnées. Les coordonnées sont complètement cachées sur les cartes publiques. Vous êtes la seule personne, ainsi que les responsables de l’organisation des projets auxquels vous ajoutez l’observation, à voir les vraies coordonnées. Prenez note que les responsables de l’organisation des projets distincts peuvent toujours voir les coordonnées, peu importe les paramètres de géoconfidentialité. Donc, si vous vous souciez de qui a accès aux coordonnées, assurez-vous d’avoir entièrement confiance dans les responsables de l’organisation des projets auxquels vous participez. Lorsque les coordonnées sont masquées, ça signifie qu’un point au hasard est affiché dans un rayon de 10 km des vraies coordonnées (sur la page d’accueil, la page des observations et les pages de projets). Les vraies coordonnées sont seulement visibles que lorsque vous consultez vos propres observations (dans les pages du projet distinct et la liste de vos propres observations). Les responsables de l’organisation des projets auxquels vous avez ajouté l’observation peuvent aussi voir les vraies coordonnées. Les coordonnées masquées sont toujours indiquées d’un cercle sans queue sur les cartes et les flux géospatiaux. Les coordonnées des taxons « QUASI-MENACÉS » ou dont la situation est pire selon la Liste rouge de l’UICN sont automatiquement masquées. Certains taxons pourraient être déclarés comme étant menacés selon d’autres sources expertes et certains pourraient simplement être marqués comme menacés par les responsables de l’organisation du site iNat s’ils croient que l’espèce mérite d’être protégée. Vous pouvez également masquer les coordonnées de vos propres observations, peu importe la situation du taxon. Consultez la section géoconfidentialité ci-dessus. la communauté d’iNat accepte l’identification attribuée à l’observation. Nos algorithmes pour déterminer l’identification de la communauté sont un peu compliqués (vous pouvez lire les détails en cliquant sur « À propos » dans l’identification de la communauté sur la page de l’observation), mais en général, nous tentons de choisir le taxon avec lequel 2/3 de la communauté est d’accord, ce qui signifie que l’identification du taxon correspond à un autre taxon ou se trouve à l’intérieur d’un autre taxon. Donc, si Scott dit que c’est un mammifère et que Ken-ichi dit que c’est un mammifère, l’identification de la communauté sera Mammifère. Mais si Scott indique que c’est un mammifère et que cinq autres personnes disent que c’est un aigle royal, l’identification de la communauté sera donc Aigle royal. L’aire de répartition des espèces d’iNaturalist provient d’une variété de sources, comme l'IUCN et Birdlife International. Aucune n’est parfaite. Il arrive donc que des observations portent la mention « hors de l’aire de répartition » alors qu’elles ne le sont pas. Si vous trouvez un taxon dont l’aire de répartition est clairement erronée, veuillez le signaler et les responsables de l’organisation du site vérifieront. Dans bien des cas cependant, nous mettrons à jour nos aires de répartition en vrac la prochaine fois que nous importerons des données d’un de nos partenaires d’échange de données. Il faut garder à l’esprit que les aires de répartition sont théoriques en principe et qu’elles sont toutes fondées sur des données sur la présence enregistrées sur iNaturalist. Ainsi, la meilleure façon d’améliorer nos connaissances sur la présence de l’espèce est de l’observer! C’est un peu malcommode, mais vous pouvez ajouter du son à vos observations en l’important à partir de SoundCloud, un service qui héberge des fichiers audio. Vous devrez ouvrir un compte SoundCloud et ensuite modifier vos paramètres iNat et cliquer sur « Liez votre compte SoundCloud » à la droite. Une fois que vous aurez lié vos comptes, vous verrez un onglet « Ajoutez des sons » dans le formulaire d’observation que vous pouvez utiliser pour choisir des fichiers de votre compte SoundCloud. Vous pouvez également importer des sons au moyen de l’outil d’importation. Nous représentons les observations sur les cartes de deux façons principales. Pour montrer une vaste quantité d’observations sur la carte en même temps, nous utilisons des « pavés ». Les pavés résument les observations en tant que grilles lorsque vous regardez la carte de loin et comme point distinct lorsque vous faites un zoom. Pour afficher une petite série d’observations filtrées, comme les observations récentes, nous utilisons des « marqueurs ». Les marqueurs ont habituellement l’apparence de larmes inversées , mais auront l’air de cercles sans queue si les coordonnées de l’observation sont masquées du public. Les cercles sans queue ne sont pas réellement situations à l’emplacement privé, mais plutôt dans un rayon de 10 km de l’emplacement privé qui n’est pas affiché. Sur les pavés, plus les cellules de la grille sont foncées, plus il y a d’observations. Toutes les observations qui ne sont pas signalées comme captives ou ayant des problèmes d’emplacement sont inscrites sur la carte. Les observations dont les paramètres de géoconfidentialité sont établis à « masquée » sont seulement incluses au niveau de zoom éloigné. Au niveau de zoom rapproché, les cellules de la grille sont remplacées par des points distincts sur lesquels on peut cliquer. La couleur des points correspond à la branche de l’arbre des êtres vivants représentée par l’observation. Les contours blancs représentent des observations de calibre recherche. Les marqueurs utilisent la même couleur que les points de pavé pour représenter le type d’organisme. La couleur de contour des marqueurs n’a aucune signification. Les pavés sont générés quotidiennement et pourraient ne pas correspondre aux modifications très récentes. Les listes sont simplement des listes de taxons (et non des listes d’observations). Par exemple, vous pourriez créer une liste intitulée « Mes tortues préférées » et y ajouter toutes vos tortues préférées. Il existe différentes listes qui ont des fonctions différentes. Il s’agit d’une simple liste de taxons sans fonction particulière. Cette liste fait des mises à jour automatiques en fonction de vos observations. Tous les utilisateurs d’iNat ont une liste complète d'observations par défaut qui contient toutes les espèces que l’utilisateur a observées. Si vous supprimez une observation ou changez votre identification, l’espèce sera supprimée de la liste. Vous pouvez également ajouter manuellement des taxons à votre liste complète d'observations, comme pour une simple liste. Les espèces que vous ajoutez manuellement ne seront pas supprimées si vous supprimez l’observation en question. Vous pouvez également créer des listes complète d'observations pour des groupes précis d’organismes, comme une liste d’oiseaux ou d’asclépiades. Une liste de projet est associée à un projet et énumère tous les taxons observés par les membres du projet. Les listes de projet peuvent aussi être remplies manuellement par l’administrateur du projet et peuvent être utilisées pour limiter la contribution de taxons à la liste de projet. Une grille d’observations est une liste des taxons qui sont présents à un endroit. Chaque lieu comporte une grille d’observations par défaut et, lorsqu’une observation est faite à l’intérieur des frontières du lieu et que l’observation se mérite le calibre recherche, l’espèce observée sera automatiquement ajoutée à la liste de contrôle du lieu. Les utilisateurs d’iNat peuvent aussi ajouter des grilles d’observations aux lieux, mais ces grilles d’observations ne sont pas mises à jour automatiquement. Elles offrent principalement un moyen d’importer des sources externes de données ou d’énumérer des trucs selon l’expérience des utilisateurs. J’ai observé une espèce. Pourquoi n’est-elle pas affichée sur ma liste complète d'observations ? Bien qu’une liste complète d'observations soit automatiquement remplie à partir des observations ajoutées, l’espèce ne sera pas automatiquement ajoutée à cette liste si iNaturalist ne reconnaît pas le nom que vous avez utilisé. Nous vous conseillons d’essayer d’entrer d’autres noms que nous pourrions reconnaître. Les projets sont des ensembles d’observations faites par de nombreuses personnes rassemblées à des fins communes. Les projets sont utiles si vous voulez par exemple rassembler des observations pour répondre à une question de recherche particulière ou établir une façon d’utiliser un ensemble d’observations aux fins de sensibilisation. Lorsque vous modifiez votre projet, vous verrez une section intitulée « Règles d’observation ». Ajoutez une règle selon laquelle les observations doivent « être observées dans un lieu » et choisissez le lieu voulu. Seuls les lieux avec des frontières dans notre base de données sont accessibles. Vous pouvez créer votre propre lieu. Cliquez sur « Lieux » dans l’entête du site et cliquez sur « Ajoutez un nouveau lieu » dans le coin inférieur droit. Choisissez l’onglet « Créez manuellement un nouveau lieu » et entourez le lieu que vous voulez créer d’une frontière en cliquant sur la carte. Nommez votre lieu (par exemple, « Lieu du projet X »), sauvegardez-le et vous devriez pouvoir le choisir lorsque vous modifierez votre projet.